China will send a strong contingent of 36 athletes for the shooting World Cup to be staged at the Dr. Karni Singh Range, Tughlakabad, from February 23 to 27. The five-day competition, offering 16 Olympic quota places for the Tokyo 2020 Games in rifle and pistol, will feature 495 shooters in all from 58 countries. Japan which is assured of 12 quota places, as the host of the Olympics, will have a team of 18, while Germany and Korea will have 21 shooters each. Russia, which has already won 12 Olympic quota places, will have a team of 16, like Thailand and Sri Lanka. The US, which has also won 12 Olympic quota so far from the World Championship, will have a team of 17 shooters. The last time India had hosted an event offering Olympic quota places was in January 2016, when 35 spots were up for grabs for the Rio Games. It was the Asian Olympic qualifier, an exclusive event for deciding the Olympic quota places for the Asian countries, after the Asian Championship held in Kuwait earlier had lost its status following a ruling by the International Olympic Committee (IOC). Of course, the Indian shooting contingent of 12 drew a blank in Rio, even though Beijing gold medallist Abhinav Bindra missed a medal by 0.1 point, while Jitu Rai, Gurpreet Singh and Mairaj Ahmad Khan had their chances. India had 11 shooters in the London Olympics and had won two medals, a silver through Vijay Kumar and a bronze through Gagan Narang. Only the individual events in air pistol, air rifle, rapid fire pistol, sports pistol, rifle 3-position for men and women will have two Olympic quota places each. The Olympic quota places for mixed events in air rifle, air pistol and trap were offered only in the World Championship. 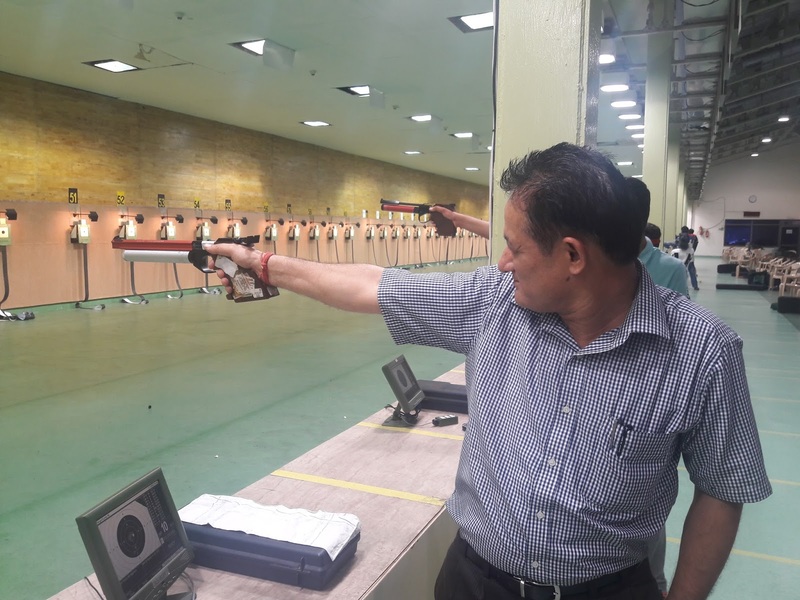 The rest of the teams in the Olympics will be made from the shooters assembled for competition in Tokyo.The shooters who won the mixed Olympic quota places in the World Championship, would be eligible to win individual quota places subsequently. However, others who win Olympic quota places will not be eligible to win any more Olympic quota. India had won the two Olympic quota places in women’s air rifle through silver medallist Anjum Moudgil and Apurvi Chandela in the World Championship in Korea. Interestingly, the women’s air rifle in the Delhi World Cup will have the strongest field of 102 shooters from 44 countries. India will not be in the race in this event, as each country can win only a maximum of two Olympic quota places in an event.